Cheap return and open-jaw flights from Europe to Australia £426 or €575! Cheap retrun flights from Paris to Kota Kinabalu, Borneo from €377! Cheap return flights from Manchester to Canada from £235! Need a budget solution from Europe to Australia you may like this solution from various European cities to Melbourne or Sydney now available from £426 or €575. This is including open-jaw tickets. Most of travelers will probably appreciate classic round trip flights thought…Look for flights departing from London, Paris, Geneva, Dusseldorf, Munich, Frankfurt or Rome. Deal is based on a Star Alliance carrier Air China. This airline offers free hotel during layover in Beijing if you meet certain conditions. Check complete details in this article. You will find the cheapest flights to Australia from May to June 2019. In most of the cases you can also fly from 21st of August to first half of December 2019. This means you can travel to Australia at the beginning of local summer season for such an affordable price. In most of the cases you would have to accept long layover in Beijing in both directions. Take this as an advantage and visit another culture on your trip! Below you can refer to our booking sample from each of the European cities. See also our solution from Switzerland, Germany or Paris to New Zealand from €548! Travel dates. : You can compare the cheapest flights directly with Air China then book it directly with the airline or with your preferred booking agent. You can secure your hotel in Melbourne or Sydney in advance via Booking.com or Hotels.com. 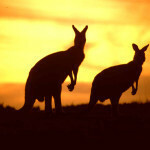 Booking sample of Cheap return and open-jaw flights from Europe to Australia from £426 or €575! In this case you would depart from UK to Sydney on 18th of May. Your return flight from Australia to London, United Kingdom would be then on Sunday, 2nd of June 2019.